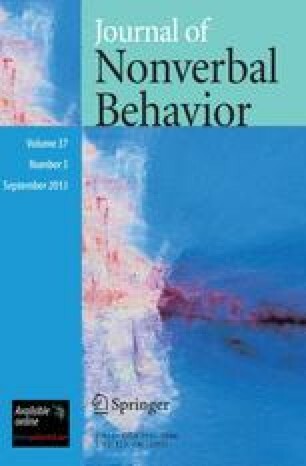 This study tested the possibility that individual differences in nonverbal expressiveness may function as a mediating factor in the transmission of emotion through social comparison. In a quasi-experimental design, small groups consisting of one expressive person and two unexpressive people were created in which the participants sat facing each other without talking for two minutes. Self-report measures of mood indicated that the feelings of the unexpressive people were influenced by the expressive people but the expressive people were relatively unlikely to be influenced by the unexpressive people. The findings have implications for the role of nonverbal communication in the emotional side of group interaction. This research was supported by NIMH Grant #R03MH31453 and by an Intramural Research Grant from UC Riverside to Howard Friedman. We would like to thank Louise M. Prince and Dan Segall for their assistance and Eliot Smith, Joe Schwartz and Keith Widaman for suggestions.